Wedding & Event Venue Styling in the South West including Devon, Cornwall and Somerset . Wedding and Event Venue Styling. Covering the South West, Devon, Cornwall and Somerset. Award winning family business offering a personal service with the aim of dressing your venue to your requirements. From simple paper bells to extravagant floral arrangements, decorations can turn an ordinary room into something special. With the use of chair covers, coloured sashes and table centrepieces an instant visual impact can be achieved. 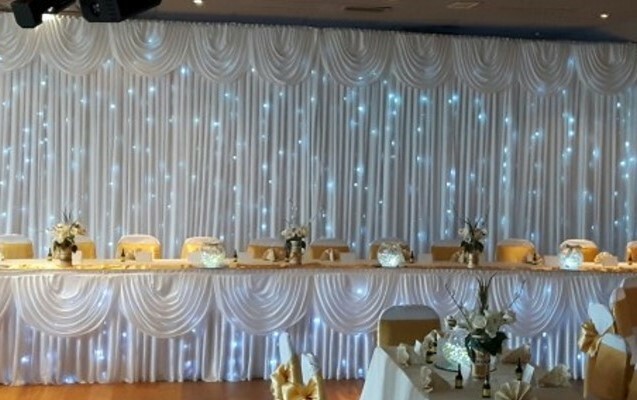 With decorations for Weddings, Civil Ceremonies, Parties, Proms and other Events, each and every event is unique and we would tailor our services to meet your exact requirements. A personal consultation service is available, we will work with you to make your celebration special and within your budget.